THE LANDSCAPE OF TRADITION, NATURE, PO RIVER AND FOOD Accommodation in warm and cozy location where the major attraction is a full-immersion in the territory and its traditions. Exciting bike trips among the delta countryside will guide you towards the longest river in Italy: the Po river with its WWF oasis. Every weekend (and during the week on reservation) you have the possibility to make a full immersion in the environment of Po Delta and to discover the countryside till the Po river and the WWF oasis, where the nature created a very interesting and precious habitat. Panarella oasis is one of the most extended floodplain in the lowest part of Polesine, an area of about 30 hectares with hygrophilous forests, plain forests, with wet depressions and meadow areas. It’s the aquatic fauna kingdom. The oasis is provided with a meeting point for touristic and naturalistic trips along the Po main stream, both for river itineraries that follow the river (with berthing point in the place) and slow tourism that follows the Po river banks. The guests are welcome according our warm and traditional style in Bed & breakfast entirely immersed in the countryside landscape and they will spend their holiday cycling in the very heart of the nature. For a better knowledge of the territory, you can taste the local products cooked according special traditional receipts. There is the possibility also to learn how to prepare home-made bread during laboratory activities. A carriage ride along the riverbank may become an exclusive moment of relax, enjoying the infinite and multicolored horizon. Another interesting experience is the river navigation towards Balutin island, a naturalistic site entirely embraced by the waters, where once was the Republic of Bosgattia. 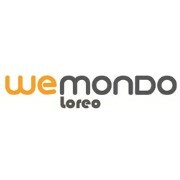 We Mondo is a travel agency in the Delta of Po river.